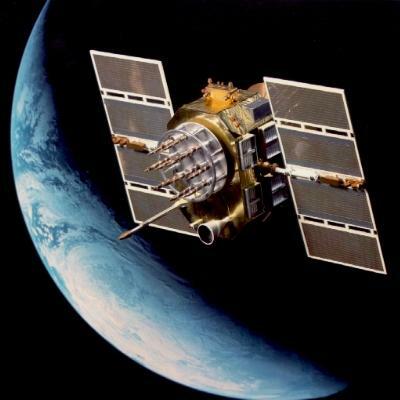 Collection of GPS/IMU data is the cornerstone of accurate and reliable airborne imagery or photography. That’s why we use a tightly coupled GPS and IMU (inertial measurement unit) receiver for all of our projects and deliver this data along with the digital imagery to our clients and partners. During the acquisition of aerial imagery, the onboard GPS (or GNSS) receiver accurately captures altitude, latitude and longitude coordinates so the absolute location of the camera is recorded as each image frame is collected. Simultaneously, the IMU is recording details on the attitude (pitch, yaw and roll) of the camera system at the instant of each image frame acquisition. This combination of information from the GPS and IMU is critical for effecient photogrammetric processing, by our clients and partners, of geometrically accurate imagery. It not only results in higher quality imagery, the GPS/IMU system can dramatically reduce the number of ground control points that must be surveyed in concert with the flight – decreasing the overall cost of a mapping project or orthophoto project. Midwest Aerial takes pride in acquiring imagery over your area of interest when you need it. And we get it right the first time. That’s one of the reasons we use tightly coupled GPS/IMU (inertial measurement unit) systems for accurate and reliable acquisition of digital imagery positional and orientation data. Since 2009, we have relied on the NovAtel SPAN-SE dual frequency GPS(GNSS)/INS receiver. This receiver records both GNSS and INS data simultaneously along with the events created by the camera system for each image exposure. As the tightly coupled NovAtel SPAN-SE airborne receiver collects GPS coordinate position points during the acquisition process, the Novatel SPAN-SE records IMU velocity and attitude data so that the position solution is maintained even if GPS signals are blocked by the aircraft wing during steeper turns. This flexibility allows us to complete our flight lines faster than would be otherwise possible. To ensure accuracy and reliability, it is imperative that the best quality equipment be used, both in accuracy and reliability. After careful consideration and inflight testing, since 2009, we have selected the iMAR F-SAS IMU for our Zeiss/Intergraph DMC II-140 digital camera systems. This system has proven to be extremely robust. The SPAN technology tightly couples the GPS and IMU information from the iMAR F-SAS during the flight to provide unparalleled accuracy and reliability. Integrated post-processing of the GPS and IMU data by our clients and partners is completed in a single step resulting in a robust solution for precise positioning and orientation of each image frame.